Hyundai is a South Korean company which started its business in India at 1996 and is India’s second largest car manufacturer. Hyundai has two car manufacturing plant in India. This is one of the fastest automobile growing companies in the world. Hyundai Xcent 1.1 CRDI Diesel Car is new model launched by Hyundai recently generally used as a cab. This is an economical car with good mileage, comfort and stability. Riding Hyundai Xcent 1.1 CRDI Diesel Car for long interval is not a big issue because of its relaxing seat posture. Any customer looking to buy batteries for Hyundai Xcent 1.1 CRDI Diesel Car then should go to everyonechoice.com. 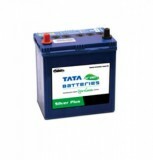 We provide batteries of all the leading brands such as SF Sonic, Exide, Tata green, Amaron. Batteries with all configuration size shapes are available with us for all Hyundai models. Buying battery from our site provides you many advantages like free home delivery within 24 hours of booking, warranty, extra discount on branded batteries. 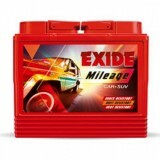 So don’t delay in buying Hyundai Xcent 1.1 CRDI Diesel Car Battery online at a reasonable price from everyonechoice.com. Do hurry!